Title page of The Fruits of the Lima Market, a collection of manuscript illustrations by Dorothea Eliza Smith. Frontispiece of The Fruits of the Lima Market. These illustrations were never published and would likely have vanished into complete obscurity had the artist’s husband not worked to preserve them in the family collection. 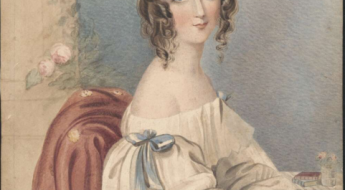 Dorothea was born to Joseph and Dorothy Peers on January 29, 1804, in Wales – the third child and first girl born to the couple. In 1828, when she was twenty-four, she married William Kerr who was a merchant trading primarily out of Caracas, Venezuela, but their marriage was cut short as Kerr seems to have died sometime before 1840. That year, Dorothea married Dr. Archibald Smith, who also had extensive experience living and working in South America. Smith was born in 1797 in Scotland, received his medical degree from the University of Glasgow in 1820, and moved to Peru five years later. Once there, he was employed by a British mining company to help its workers adjust to the high altitudes at which they worked, but the company’s bankruptcy in 1827 meant that Smith needed to find new work. To this effect, he rented some land and began to grow sugar cane, but by 1830 he had moved to Lima and the next year took a job overseeing the health of British and American sailors stationed in and around the Peruvian capital. 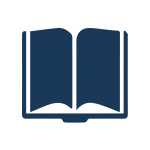 (Peru became an independent country in 1824, so the sailors were not part of an occupying force.) At some point during this time he must have become acquainted with Dorothea as they married in Scotland in 1840 where they continued to live for the next few years. 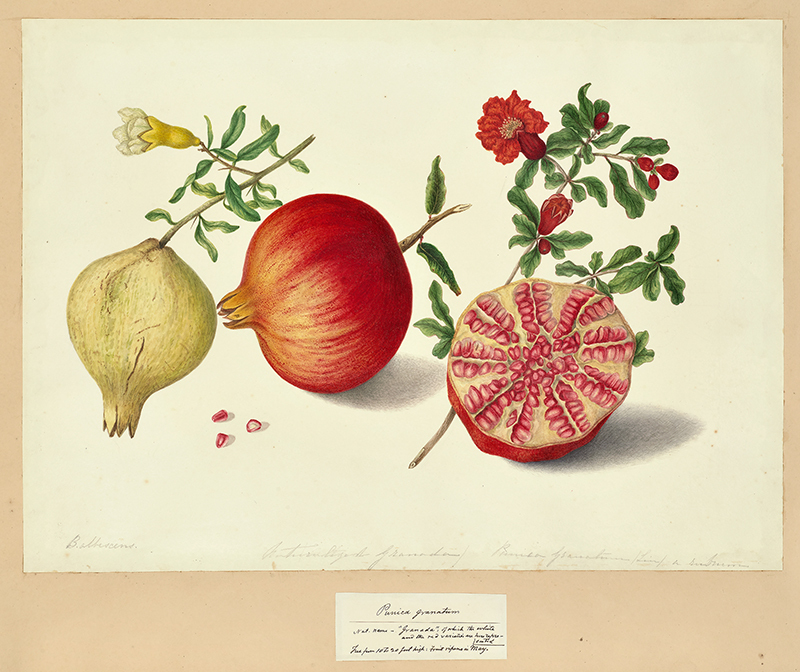 Punica granatum (Pomegranate) by Dorothea Eliza Smith. The folio contains 30 watercolors and eventually made its way to Crewe Hall library, where they were purchased by Rachel and Paul Mellon in 1957. While their marriage appears to have been strong, they both faced an enormous loss when Archibald and the couple’s daughter Dorothy – who was eight – were shipwrecked off the Peruvian coast, and Dorothy drowned. Dorothea wrote from Liverpool to her husband shortly after the loss in 1849 that “we are all improving in strength not withstanding our recent trial” and would soon join her husband in Peru with their other children – Sophia, Isabella, and John. Interestingly, Dorothea and the children decided to sail around Cape Horn on their journey to South America rather that land in Panama, walk across the isthmus, and catch another ship to Peru. Both trips took similar amounts of time, but supposedly with three children, Dorothea would have rather not tried to keep track of them on an overland trek. The details of the Smiths’ time in Peru are sparse, other than that Dorothea worked on her watercolors of the fruits of the Lima market from 1850 to 1853, and at any rate they all seemed to have returned to the United Kingdom by 1855. 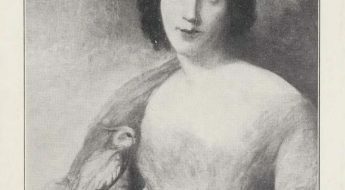 Dorothea would die about nine years later, in 1864, and her husband would join her in 1868, both in Edinburgh, Scotland. 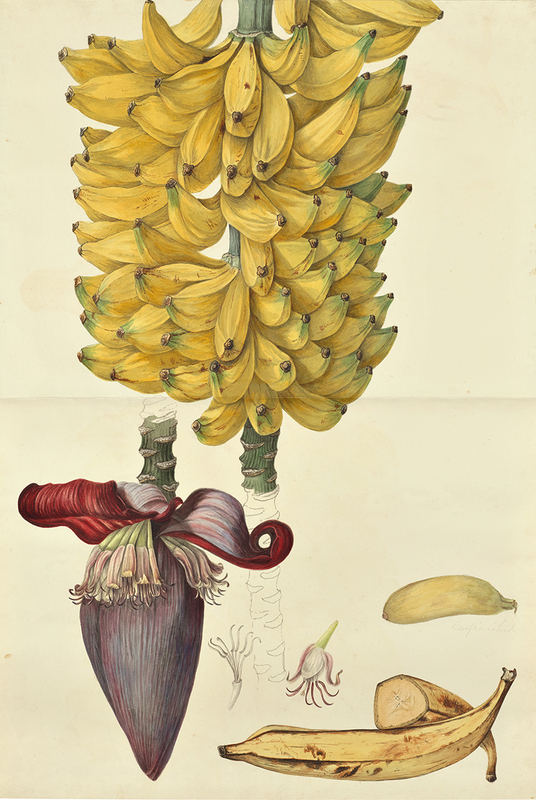 Bananas by Dorothea Eliza Smith. 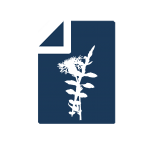 The watercolors are remarkably detailed and include botanical details like cross-sections and seed pods. These details underly observations on the artist’s behalf that go beyond a casual or purely aesthetic purpose. 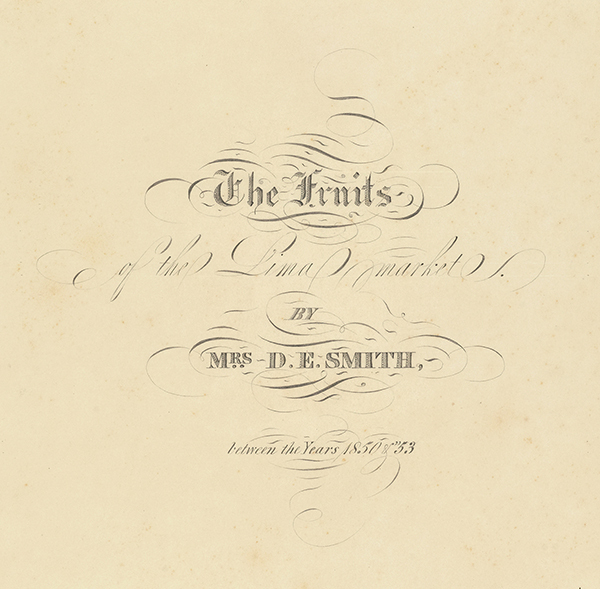 Dorothea Smith’s The Fruits of the Lima Market are significant and worthy of study both for their quality and for their commentary on botanical science and British economic reach. To begin, Dorothea’s watercolors are impressive in that they are thoughtfully detailed in their depiction and with regards to their associated scientific information (Each painting includes notes on its fruit’s scientific name, local name, height, and fruiting months), and in that they have a refined artistic sensibility to them as pertains to the ways in which Smith plays with the juxtaposition of the different colors of the fruits. Smith also provided drawings of cross-sections of the fruits and their seeds. It is further interesting that Smith chose to draw the fruits of the Lima market as opposed to other flora from the Peruvian countryside. Her choice seems to be wrapped up both in her assumedly easy access to such fruits and in her life as spouse to first a merchant then a medical doctor and one-time farmer who both left Britain for opportunities in South America. Even her trip to arrive in Peru followed established trade and tourist routes from Europe to the western South American coast. Her watercolors work on two levels then – the first as an expression of her high scientific and artistic acumen and secondly as a reflection of her proximity to British commercial interests throughout the world. 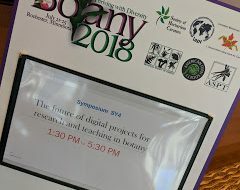 Smith’s manuscript was maintained by her husband after her death as he worked to make it known to knowledgeable scientists (even citing her in his own work), and as such kept it from disappearing into complete obscurity. Thus, the remarkable work of Dorothea Eliza Smith remains and whose story, though very much incomplete, understates the significant contributions of so many unknown female scientists and illustrators to the collected advancement of Western science. Vega, Fernando, Kimberly Fisher, and Tony Willis. 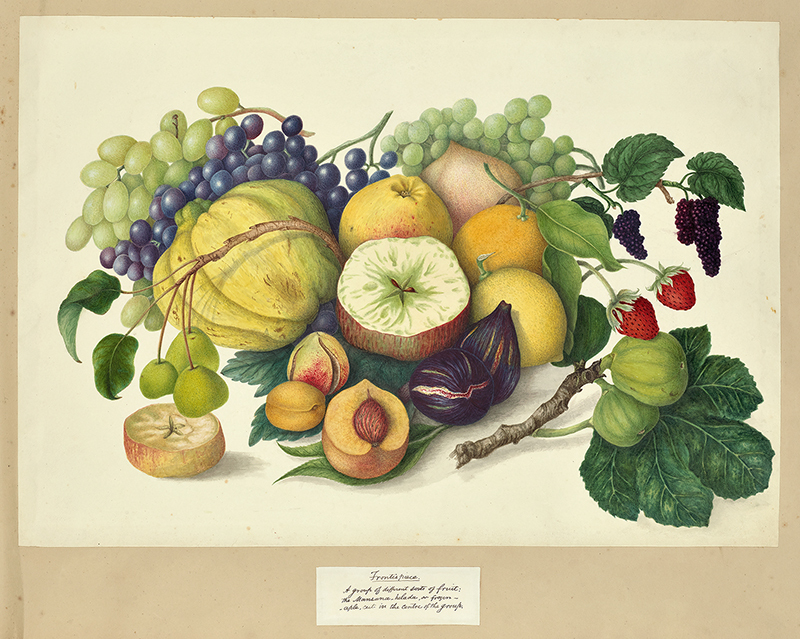 “Dorothea Eliza Smith, artist of ‘The Fruits of the Lima Market’” Archives of Natural History 41.2 (October 2014): 223-229. Chris Byrd is working at the Oak Spring Garden Foundation (OSGF) as a Library Database and Research Intern. 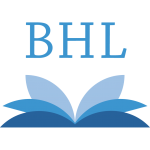 He has a Master's degree in US History from Villanova University and a Bachelor's degree in History and in English Literature from Presbyterian College. At OSGF, he is responsible for updating the metadata records for the Oak Spring Garden Library's collection of rare books and other items of scholarly importance. In August 2019, he will leave the US to teach English in Ukraine for two years as a Peace Corps Volunteer.